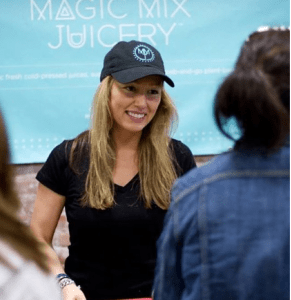 Her discovery of natural food led Larsen to leave her job at a law firm and found Magic Mix Juicery, which is located on Fulton St. in lower Manhattan. 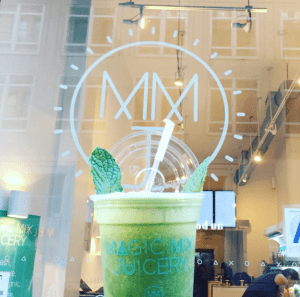 MMJ’s mission is to “make healthy living effortless, efficient and simple so you can add in the good which naturally crowds out the bad,” and ever since it opened, it’s been doing exactly that. In fact, the eatery’s small but mighty presence adds something unique to the neighborhood’s food scene, which is teeming with fast food restaurants and chains. 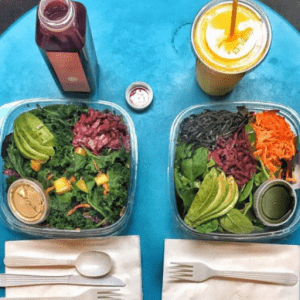 Larsen’s creation is now famous for its cold-pressed juice cleanses, as well as its superfood bowls, smoothies, salads, vegan renditions of classic entrees, and more. 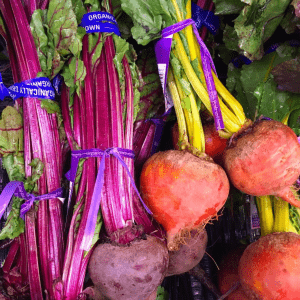 Everything that MMJ serves is made from scratch–as well as organic, gluten-free, raw, vegan, kosher, and GMO-free. 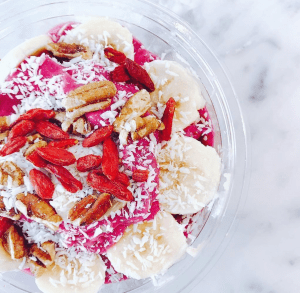 On our recent trip to the financial district, we stopped in to try a few things and were floored by the Pink Floyd Bowl, a delicious breakfast bowl brimming with house-made coconut mylk, dragon fruit, mango, pineapple, and strawberry–and crowned with banana, pecans, goji berries, and shredded coconut. 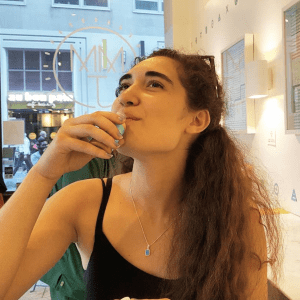 Because we’re suckers for healthy drinks, we also gulped down a Turmeric Shot (made with turmeric, lemon, coconut water, and ginger) and snagged a Choco Coco drink (House-made almond mylk, cacao, dates, coconut sugar, cinnamon, and coconut oil). Both were divine! 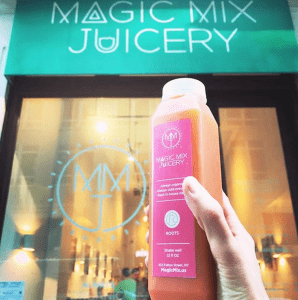 Thank you for the inspiration and a delicious breakfast, Magic Mix Juicery!